Located just minutes from the Chain of Lakes, this large unique ranch style home offers nothing but potential to a buyer with vision! 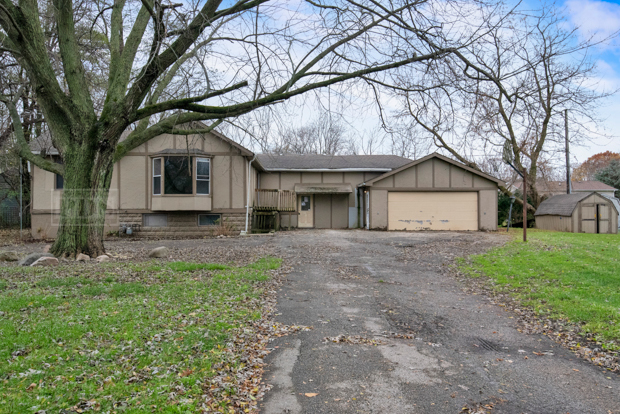 Homes like this just do not become available often, this home features a large open living room, spacious kitchen, 3 bedrooms, full basement and is on a very gorgeous large wooded lot! The home is being sold as-is and all information is estimated however there is unlimited potential here! The location is ideal, minutes from Lakes Community High, close to the chain of lakes and can be used as a summer cottage as well! Do not miss this property, it will not be along for long! I was searching on Blue Fence and found this listing. Please send me more information about 39202 North Poplar Street , Lake Villa, Illinois 60046. Thank you.